This is one powerful working machine! Benji is an independent male who is social with the family but does not need constant affection. Benji is a dog that can do it all! Trained for many different disciplines including Home Protection, Anti Carjacking, Perimeter Searching, House Clearing, Off Leash Obedience, Tactical Obedience, Tracking, you name it this dog can do it! Benji is safe around small dogs, and children but has the perfect switch and turns into a warrior with just a simple command. 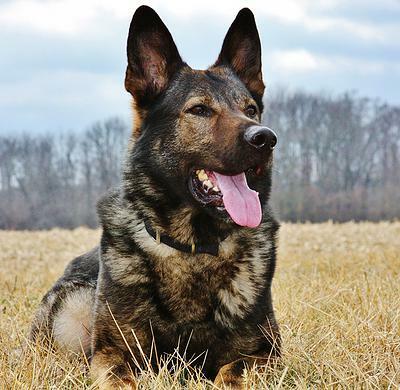 This is absolutely one of the most fantastic German Shepherds we have ever been able to offer to the public.